WOW!! That barely resembles the call you previously posted David. I like the way you eased up on the stippling to create the mane. Haha, I know! And actually for the mane, I just took a knife tip and sorta etched the hairlines in. I really like it. Well done David! Looks like you are on your way to becoming a wood carver. Isn't it a good feeling to gain some confidence and attempt some new things. We've all held a call in our hand and fretted over continuing to do more work on it? Then we give in and the call goes to the next level, and we're glad we put the extra effort into it. So don't be afraid to try new things. Haha, yeah I know the feeling very well. I was terrified that I was gonna end up making the call look worse.. but I went ahead and did what you said and it looks great. definitely a lesson learned for future calls. Dont ever worry about making it look worse. How else do you plan to develop your skills? You can always start again, on a fresh piece of wood, if you have to. Part of the fun of it, in my opinion. Unless you get help from your dog, and end up with little teeth marks all over Looking good, btw, keep at it. Looks to me like you are off to a great start with carving, keep it up and I look forward to seeing more of your work. 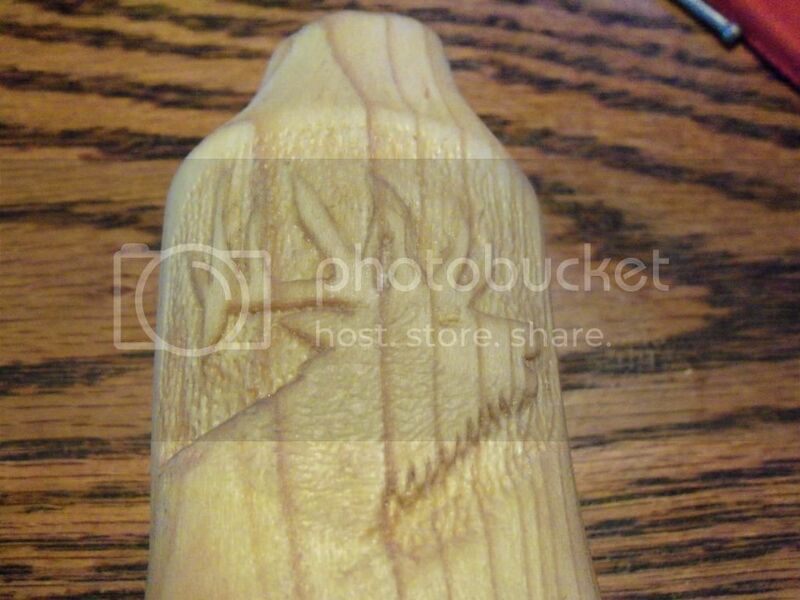 I know I tried carving once and that was one too many times for me. It ended up looking nothing like it was supposed to.